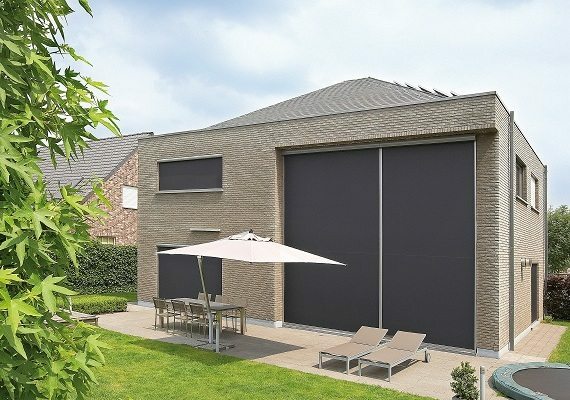 Exterior screen shades are a fantastic addition to your windows, doors and outdoor spaces. 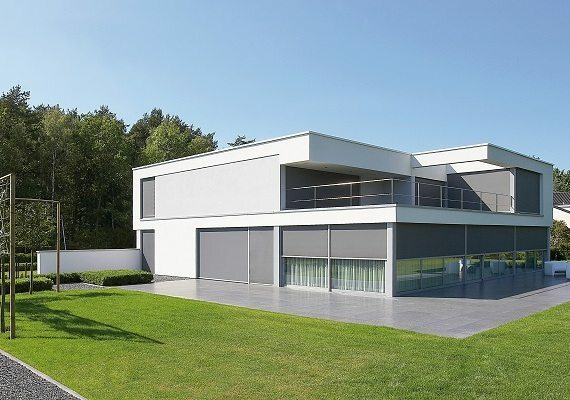 They provide increased privacy, while allowing light to pass, and their ability to absorb heat, filter and decrease sunlight exposure and keep bugs out, make them a great option for you to comfortably enjoy your interior and exterior living spaces, while lowering your energy costs at the same time. 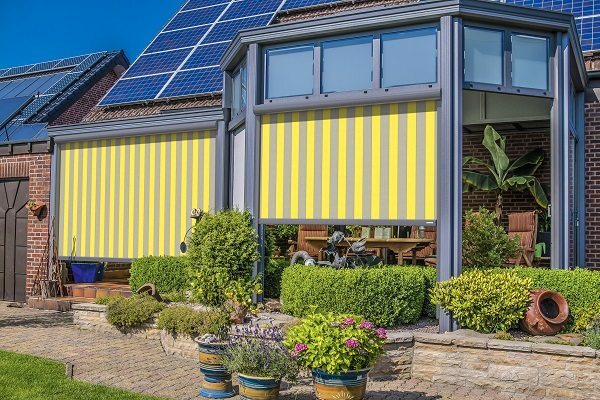 Motorize your screens and schedule or manually adjust your preferred shade setting for any time of the day. 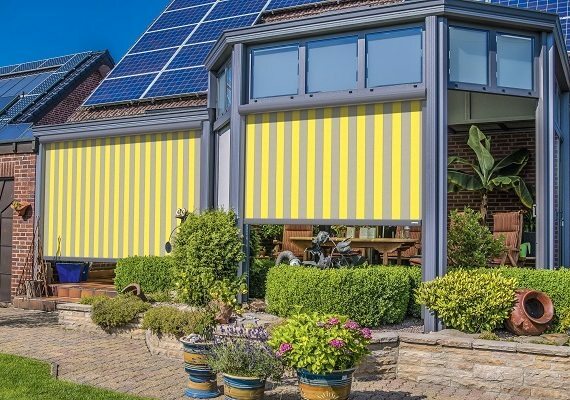 Combine with a solar panel for extra energy savings. 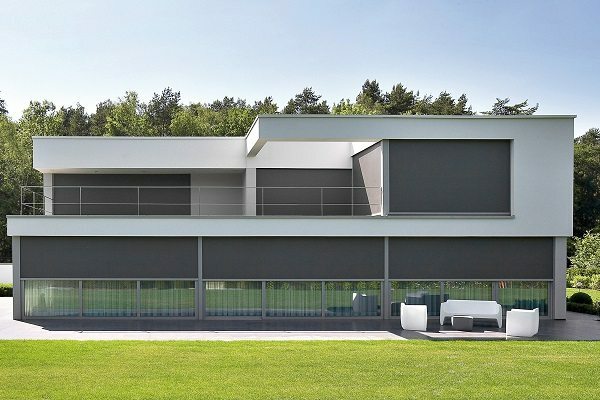 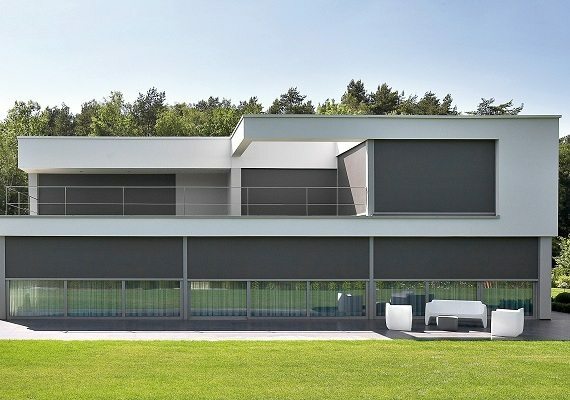 Shades By Design’s exterior screen shades are available in different colors, fabrics and openness factors for you to set the right environment for your home.